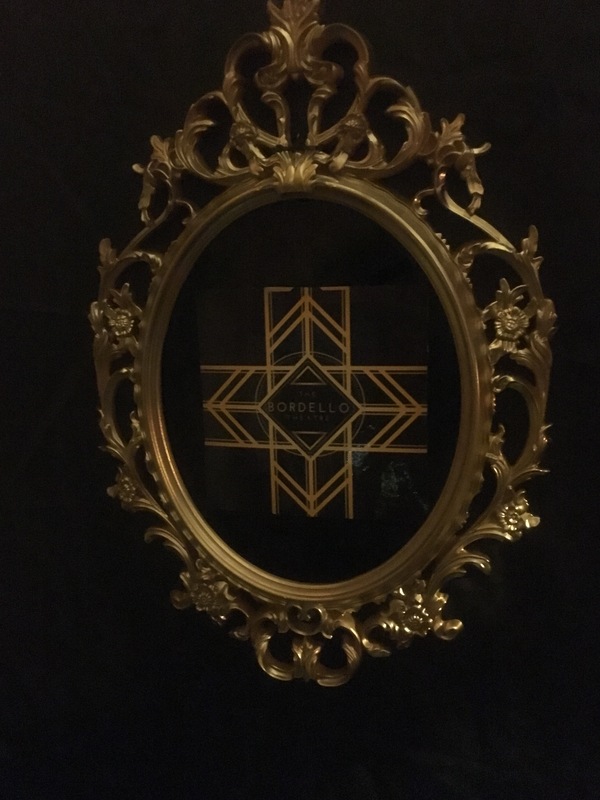 A lovely friend and I accepted VIP tickets to a new show “Lush Life: An excavation of the Queer history of jazz” (referenced here as “Lush Life”) appearing at a brand new venue – The Bordello Theatre. This review will be in two parts – one part on the theatre and the next part on the show – as there is just so much to write about! Curious name for a theatre, I hear you remark and well yes it is because this new theatre is located in the attic of the ‘Top of the Town’ brothel! Before you ask, we waited downstairs until a small group of audience members had assembled and then we were chaperoned into the theatre. There was no ‘straying off the path’ despite the exciting location, however I’m sure that was for the best. Up a few flights of stairs we arrived at a curious entrance and then suddenly we were inside the theatre. We were all warmly greeted and then had a chance to take a quick look around before finding a seat. The theatre itself is in tones of red, black and metallic hues giving it a premium and luxurious feel. 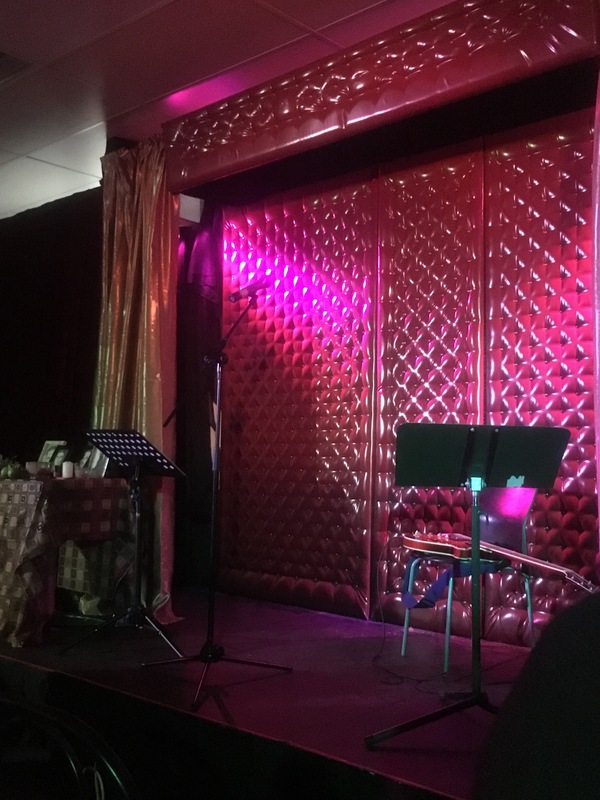 The feature piece of The Bordello Theatre is unquestionably the large lipstick red ‘chesterfield lounge’ panels serving as the stage backdrop. The panels had such a lush texture to them, I was ever so tempted to touch the panels after the show (I did however exert some restraint!). As it was VIP opening night, we also had gift bags on our seats which contained some clever pieces of marketing as well as a small bottle of water – appreciated given the hot weather that day. I marvelled at how a theatre could be established in such an unassuming and hidden location, while I waited for the show to begin. 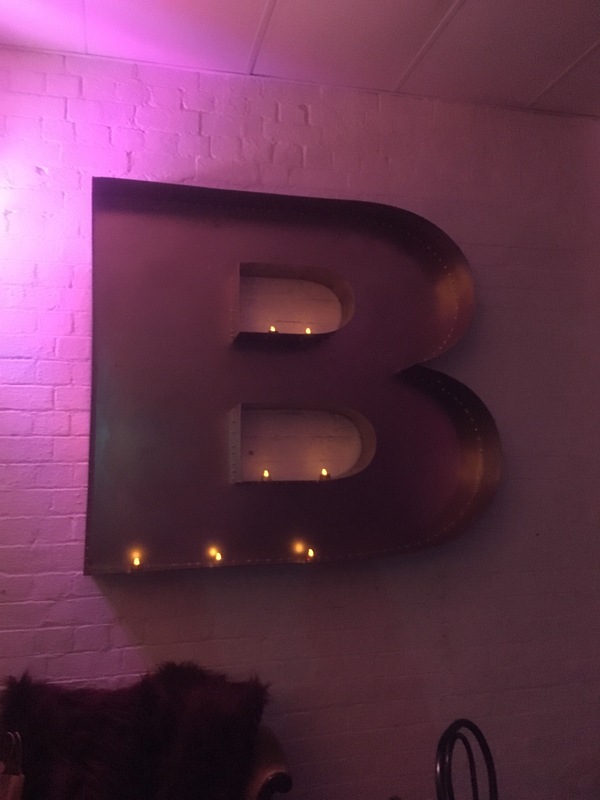 They say you are always welcome at the ‘Top of the Town’ and this extends to The Bordello Theatre. 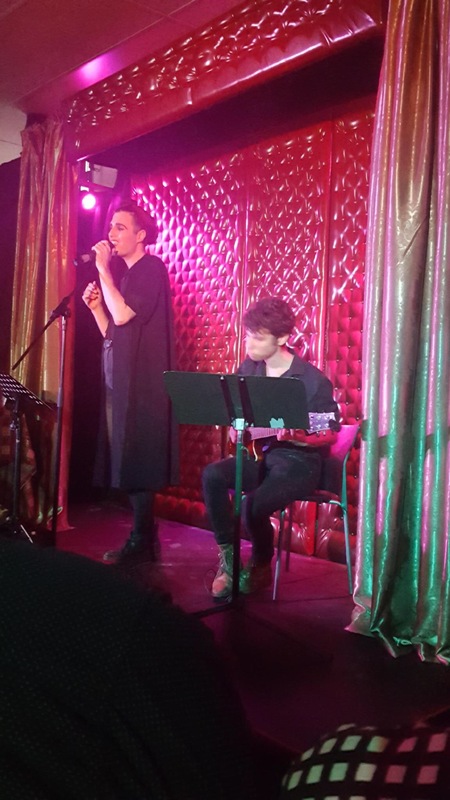 In “Lush Life”, Melbourne musician and cabaret artist James Halloran took the audience on a journey which explored a handful of queer pioneers of Jazz across history and contemporary music. I’ll admit that I do not experience Jazz as regularly as other forms and styles of entertainment so I feel much less knowledgeable about the greats of Jazz and Jazz history. I needn’t have worried about that as, in tune with the needs and demographic of his audience, James Halloran’s show was a jaunt back in time to the places and faces you may not have heard about in the history books. The artists that were talented during their time but not paid their dues by peers or society. It was a show as much about storytelling as it was about music and singing and the storytelling enhanced the audience’s enjoyment of the show. 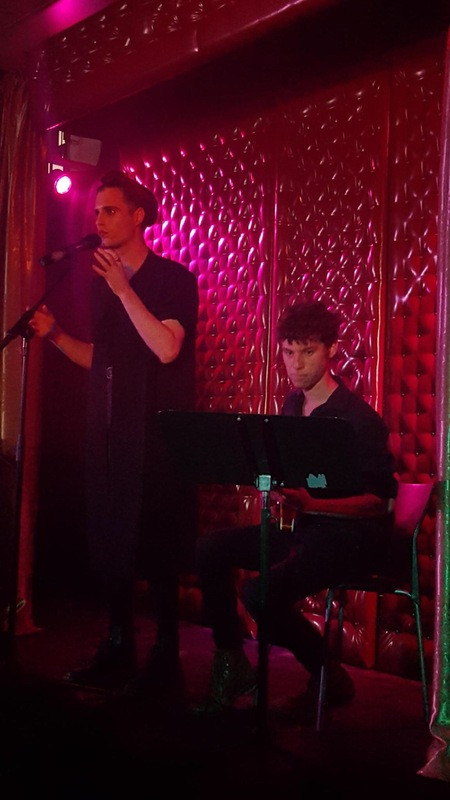 Accompanied by a guitarist on stage, James Halloran appeared in a demure outfit with a velvety headpiece and began to sing in sultry tones much to the delight of the audience. James has soft eyes, a soulful voice and sung each song with care but ensured that each emphatic word or note was in the right place. Particular show highlights for me were the songs “My Funny Valentine” and “Bewitched, Bothered and Bewildered” by lyricist Lorenz Hart (one half of the duo Rodgers and Hart) and James’ stories about the life and adventures of Sir Noel Coward (among others, such as Billy Strayhorn). The descriptions of the types and times of all the characters James Halloran hones in on during his show creates a rich tapestry for the audience to admire and absorb. It is clear that James admires and respects the performers he explores in “Lush Life” as each song is treated tenderly with care. Such is the power of the songs and James’ singing that it was the type of music I imagined myself listening to from a gramaphone while on a chaise lounge with a drink in hand- a lush evening of music indeed! “Lush Life” is full of songs with strong emotions attached – lust, grief, heartbreak – yet the show remained uplifting and I was grateful for the stories and messages within. In a word, Lush Life was bliss. My friend and I left the theatre feeling very spoilt and very relaxed, like we had temporarily left the hustle and bustle of the city for an oasis of Jazz. VERDICT: If you like Jazz / enjoy Jazz music styles then I’m sure you’ll enjoy this show. If you’re new to Jazz (like me!) or you’re not sure what to expect then take the chance and come along to “Lush Life”. At the end of the night you’ll have learned so much and enjoyed some beautiful songs along the way. 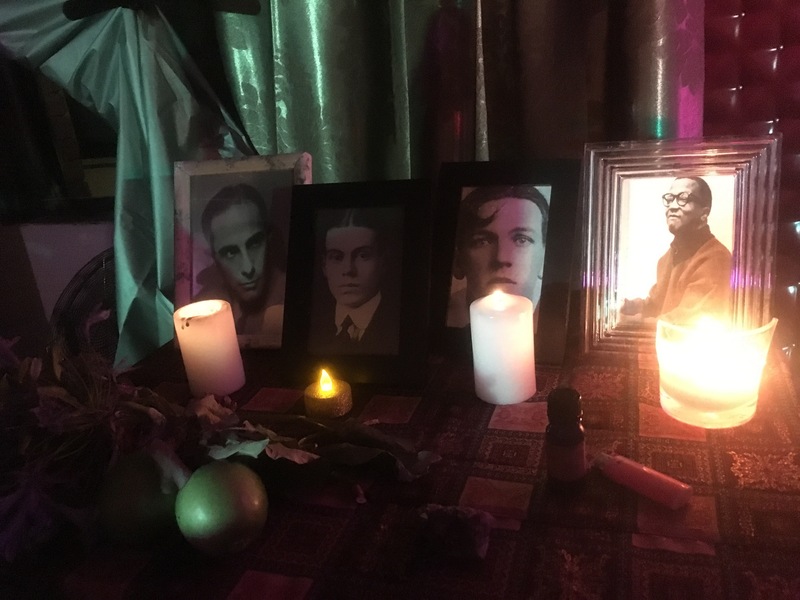 Note: My friend and I attended this event as guests of Speakeasy HQ / The Bordello Theatre. Tay Around Town goes to the Adelaide Fringe!